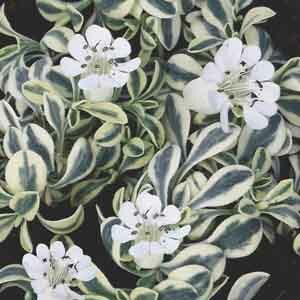 A mat forming, semi-evergreen perennial with gray-green leaves and white blooms in the straight species. Some named varieties have variegated foliage and some have pink blooms. This sea coast native thrives in sunny, well-drained sites. Perfectly sized for rock gardens and border fronts. Makes a breathtaking potted specimen plant. Combines beautifully with small ornamental grasses. Tolerates poor soil, heat, and drought. Best in fertile, well-drained soil. Allow soil to dry between thorough waterings. Protect from excessive winter moisture.